A couple weeks ago I had the pleasure of shooting for Hackwith Design House, designer - Lisa Hackwith. 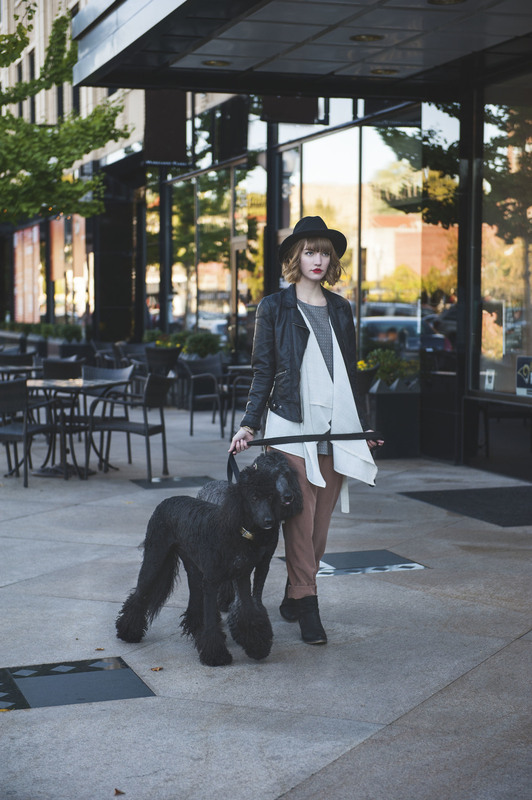 HDH, from Minneapolis, creates clothing that is rare, special, handpicked and hand-perfected. I fell in love with each piece during the catalog shoot, and keep reaching for her pieces everyday in the closet. For the Winter Lookbook, Lisa and I wanted to show an example of someone out-on-the-town in Hackwith clothing. We shot a morning stroll, working at a coffee shop, walking the dogs, and finding a new novel in a bookstore. The clothing from the Lookbook is coming to HDH in winter 2013 to early 2014. You can follow HDH, which posts a new piece in the shop every Monday, at www.hackwithdesignhouse.com and Instagram: hackwithdesign .